The general consensus about card counting is that it’s all about memorization. Funny thing is… It is not! 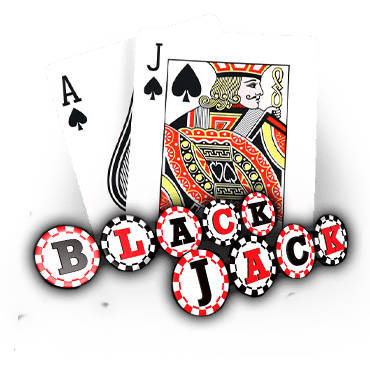 Counting cards in Blackjack is using whatever system that works best for you to keep track of the ratio of high cards to low cards already played. Many people with terrible memories have been extremely successful at counting cards and winning big pay-outs at blackjack. The method to the madness is to assign a value to each card. The game is in favour of the player when there are more ‘face’ cards e.g. Jacks, Queens, Kings and Aces remaining in the unplayed deck. For basic card counting, a zero, negative or positive value is assigned to each card available. When the dealer plays a card of either assigned value, the count is adjusted upwards, downwards or not at all. When a low card is dealt this increases the percentage of high cards remaining that are un-dealt, likewise on the dealer side, when a high card is dealt this increases the percentage of low cards remaining to be dealt. So in this High-Low system of card counting, when a card that is valued 10 is dealt, the system calls for one to be subtracted and on the opposite side when a card between 2 and 6 is dealt, one is added. Cards between 7 and 9 are allocated a zero value as they do not touch the outcome, therefore not moving the count. The goal of the High-Low system is to assign a value that correlates to the Effect of Removal. This way you can calculate the advantage that the removal of any card may or may not give the house. The High-Low system is considered a level one counting system because it is very basic and never affects the count by more than one either way. More advanced players will more often than not, maintain an additional way of counting. This way is called the side count. This way the player can determine the best count for betting and the best count for playing accurately. The drawback to this method is that the trying to keep track of more information can detract you from being able to play quickly and accurately. For wagering purposes, the simpler method is better and can earn you big pay-outs due to the higher turnover of the games and the more quickly and accurately you will be able to play. There are a few terms you should get familiar with if you intend to try a blackjack card counting system. No system is perfect, but the most effective system is one that is usable and offers the highest return on your wager. Bearing in mind any scheme should achieve balance as well as efficiency. The first rule-of-thumb is that a system should major in player efficiency. Player efficiency (PE) will usually gauge how effective the information you as the player receives and advises you on whether to modify the chosen strategy to account for the un-dealt cards. This should work for both single and double decked games. Insurance correlation (IC) is referred to as the portion of the expected profits from card counting is derived from taking insurance wagers, which are extremely profitable at high counts. A growth in the insurance correlation will offer bonus value to whichever card counting system you may choose to use. The ace card is the card to be most observant of. It plays a crucial role in the way you should place your bets. The ace is viewed as the most significant card in any deck. Betting correlation (BC) is also another aspect of the High-Low system and should be for any successful system. Betting correlation is a relative gauge of the effectiveness of the information in the system being used. 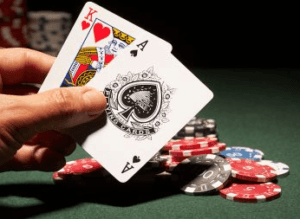 The most common way to play blackjack, and what the experts suggests, is that you keep a side count of the aces in place and those in the deck. The trick is not to use more side counts than necessary, as it might be challenging for most human brains to quickly process such complications. The brain could eventually shut down, and that is important to avoid at all cost. If you overburden your brain, it might make you lose focus, and that can be your downfall in a game of blackjack. If you would like to play live casino online, casino rooms like Leo Vegas, Mr Green and Comeon is offering tables around the clock with real dealers. Any card counting system in itself can be pretty demanding for your brain. 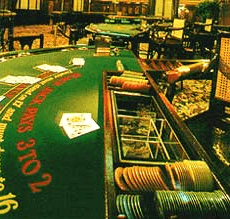 So when choosing a card counting system, choose one that is efficient and easy to use. Not all systems take into account efficiency as they take into account accuracy. Of course there are others that go the other way around; offering accuracy and not efficiency. High level systems and unbalanced systems should be avoided at any cost.